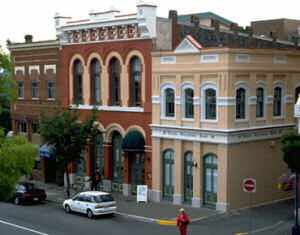 The International Hostel Victoria BC is a perfectly fine alternative if luxury lodgings are not in your budget. People tend to think of hostels as places only youthful backpackers stay in when they want an "upgrade" from the wilds. But, actually, hostels can be right for anyone who just wants a clean and inexpensive place to stay in Victoria. The International Hostel Victoria BC is located in a beautiful heritage building right in the heart of downtown Victoria. Only a 5-minute walk from the harbor and many of the city's historic buildings, they have friendly staff who are on duty and ready to help you 24/7. It costs a mere $18 to $21 a night to stay there (for shared rooms; private ones are more), and though you have to use communal showers and may not have complete privacy in your bedroom, there is free WIFI access, generous kitchen facilities, a game room, and more.